But can one describe, as if seeing it from above, something within which we are constrained, of which we are part, and from which we cannot exit? Can there be descriptive geometry of the universe when there is no space outside it on which to project it? When Douglas Diaz speaks about drawing, he uses the word to describe two different elements of his practice. One has to do with immaterial experiences: the squaring of personal intention with the limits of their actualization, the push against forces of friction or gravity, attentiveness or exhaustion on a given day. These mental and physical negotiations not only structure Diaz’s creative actions, but also constitute his, and our, lived realities. In this way, the act of drawing can become coterminous with the experience of reality. “Reality of My Life” is borne by the central belief in the potency of drawing as a process of understanding. It is for this reason that Diaz selects his titles before he begins to draw—they are not so much conclusive descriptions of the drawing at hand as guiding thoughts. As visitors to the exhibition, we experience Diaz’s drawing in a second way, in their material presence within our space. On the one hand, they are abstract unto reticence with their subdued vocabulary of unmodulated white and black, and the way marks disappear into tonal fields of their own making. On the other, there is an empathetic corporeality to the works in the way they evidence the movement of Diaz’s mind and hand. 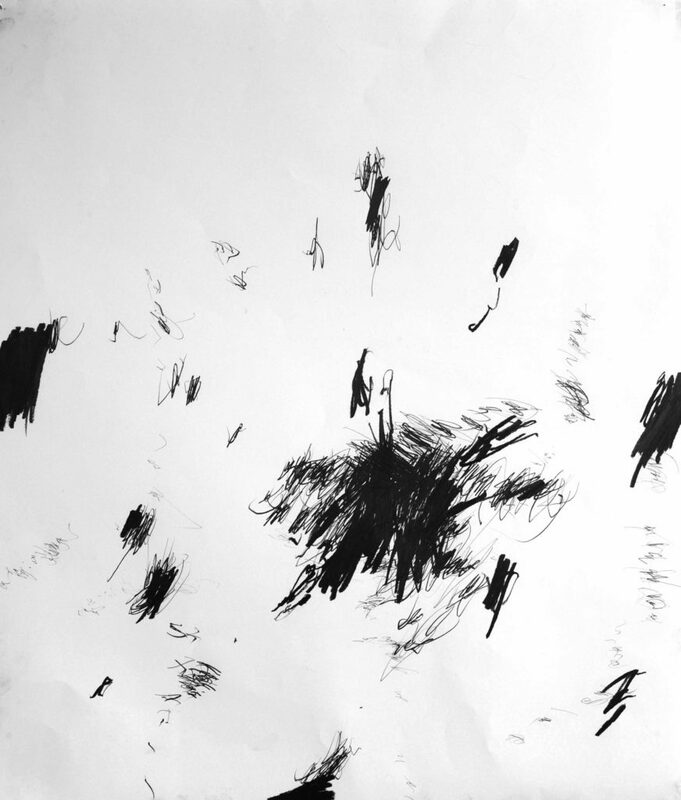 Trails and smudges, hiccup breaks in lines, and sheen from paper rubbed smooth by graphite are precious evidence of a body recording the limits of its expression and movement. The compositions also include traces of the inadvertent alongside the intentional. Creases or swells describe the weight of Diaz’s supporting posture for drawing on the floor, so the conditions enabling the drawing to take place appear within it too. In this way, Diaz’s works are not only allusive but also literal. In surveying the unflagging human desire to understand its own reality, Umberto Eco pointed to the equally human paradox of trying to comprehend the contours of something that exceeds experience, just as the understanding of death exceeds life. There may never be a fixed, total descriptive geometry of our individual and collective realities, but it is noble to seek description as best we can, from within our constraints. The drawings in “Reality of My Life” open up space for us to behold paradoxes in a single eyeful, if only for a short while—the infinite possibilities of a blank expanse of paper and the edges that delimit them; the willful mark and the chance scuff, neither more meaningful than the other.